Looking for a no fuss packaging solution? Check out the Flash Pac® Mini, a customer favorite USB packaging option for photographers. 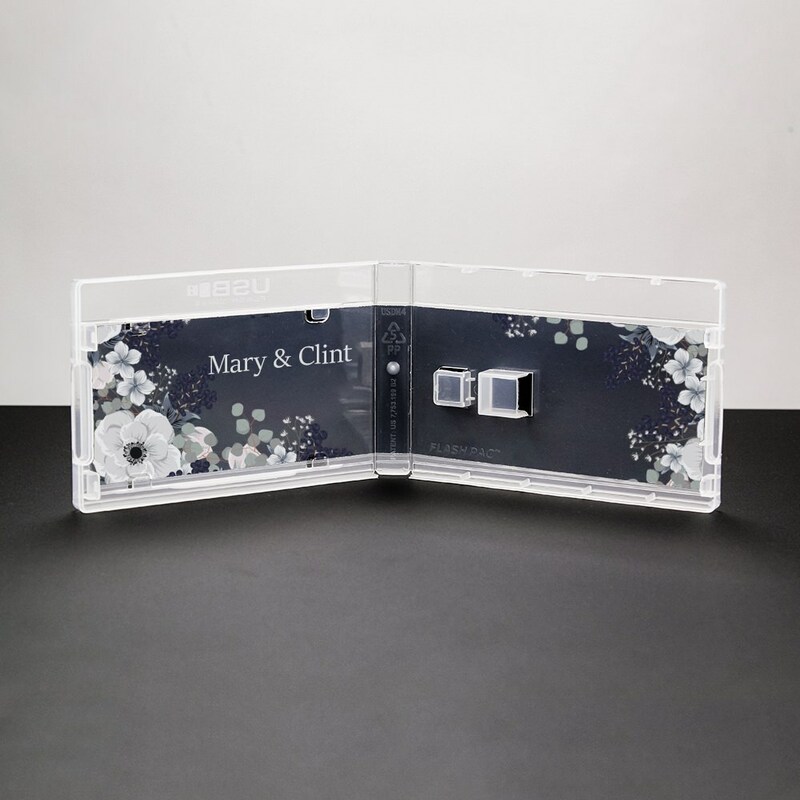 The Flash Pac® Mini offers convenient storage and transport of your client’s photos and data while also giving you a good looking method of delivery! This affordable bundle includes the Flash Pac® Mini and custom printed entrapment. Choose the Flash Pac® Mini so you don’t have to compromise on visibility, good looks, or storage capacity. 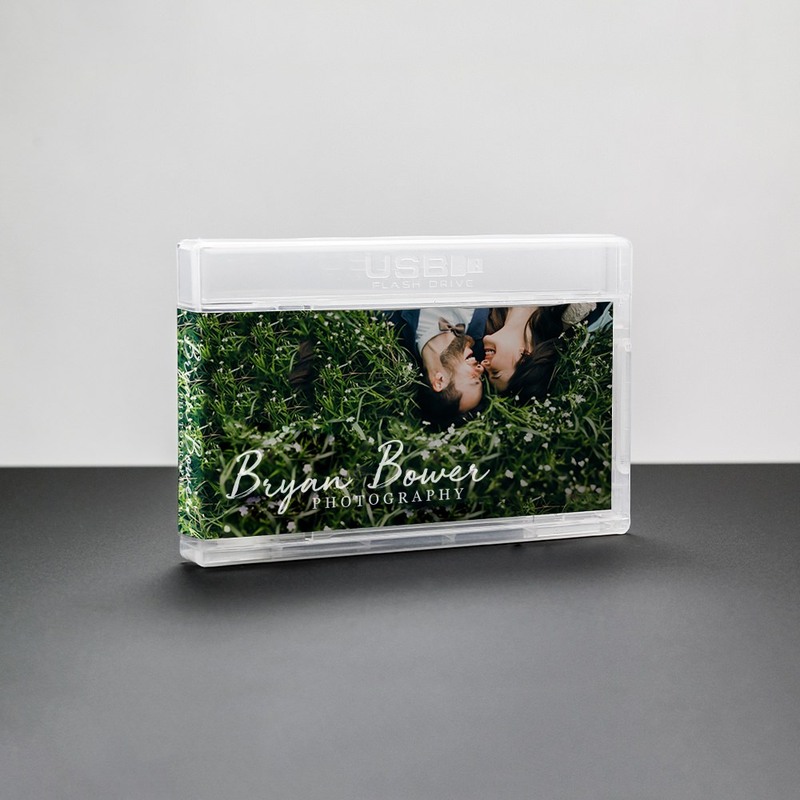 The Flash Pac® Mini securely fastens your USB drive in place while protecting its valuable connector port. 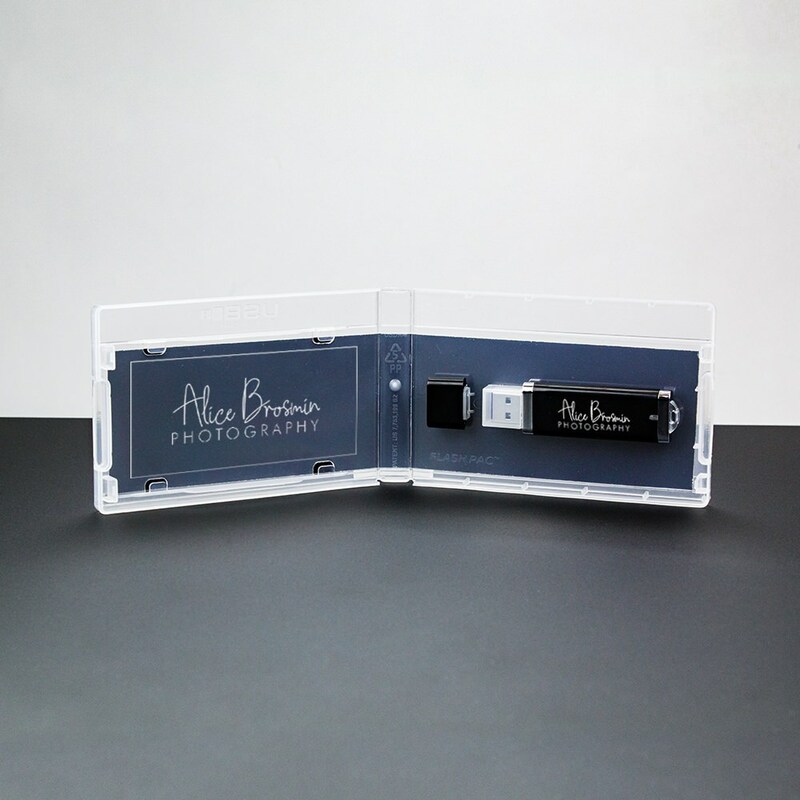 It separates the cap with its own fastener, adding a professional quality to this USB packaging for photographers. This option comes with a custom printed entrapment that makes marketing, distribution, storage and identification easy and simple. The USB drive is not included but fits our Lightning 3.0, Premium and Illusion drives. Entrapment Imprint Size: 9.5" x 2.125"